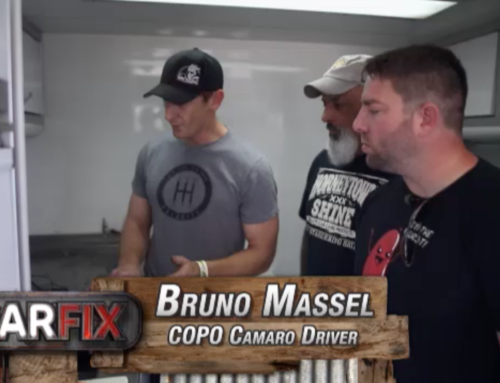 Can Massel’s turbocharged machines boost him to a third championship? 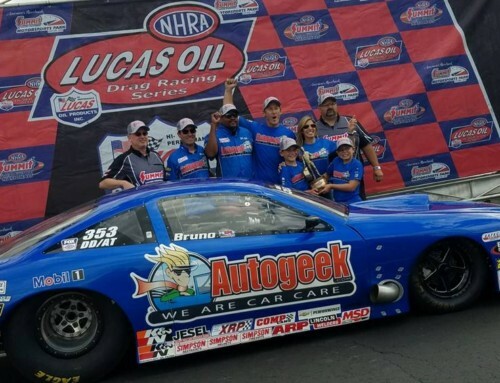 Last year, Bruno Massel Jr. became just the sixth driver in the 47-year history of Comp eliminator to win more than one season championship after guiding his turbocharged Cobalt to the top of the points for the second time in four seasons. 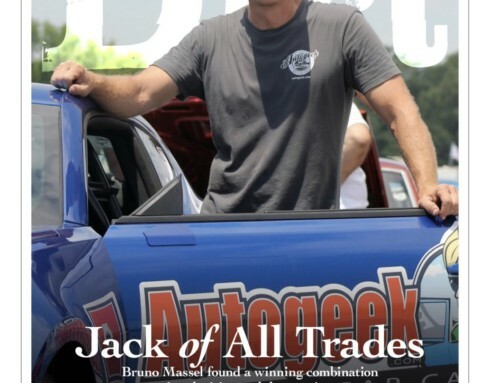 Late last season, Massel and his father unveiled a new dragster that used the same turbocharged four-cylinder GM Ecotec powerplant and immediately shot to the top of the qualifying sheets, setting off an uproar. The car’s race-day performance was spotty, and the car was sidelined for further development. 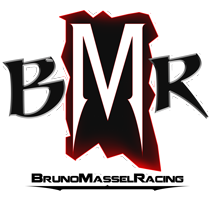 The Massels will begin their third title defense with both cars at their disposal and the plan for a two-pronged attack that will allow them to seamlessly switch between entries depending on track and atmospheric conditions. 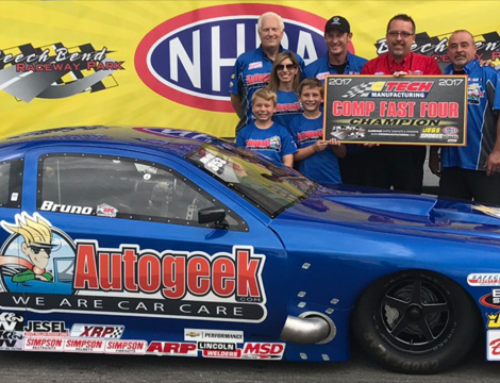 AutoGeek.net returns as the primary sponsor, and Lucas Oil has increased its involvement with the team and brought along MavTV as another backer. Only Norwin Palmer, Coleman Roddy, Bill Maropulos, Andy Manna Jr., and Dean Carter also have two championship trophies, and only Maropulos has three. And only two drivers — Roddy (1983-84) and Carter (2003-04) — won their titles back to back. Massel would like to join both of those exclusive clubs, and it won’t be easy, but he’s very motivated to make it happen. “We have two pretty good cars,” he assessed. “The dragster has a lot more potential than the door car, but we know the door car like the back of our hand, so it’s a bit of a trade-off right now. There are still some question marks on things we don’t have locked down yet. We’ll probably run the door car at points meets because my dad could get that car down a dirt road if he had to, but, then again, if we get a hot hand with one car, we’d probably stick with it. There’s still a lot of wrinkles to iron out. “I think we’re pointed in the right direction, and I feel pretty good about our chances to defend our championship,” he said. “I about killed my dad last year with eight straight weeks of racing, but he says he’s good for another year, which is good for me. He has so much experience, and I think we make a good team. I’m much better with him than without him, so if he’s going to give me another year, I need to go for it, to give him at least one more run at it. With turbo power having captured two of the last four championships, are power- added entries the wave of the future? The reality is that the balance of power is shifting from carbureted small-blocks that people have flogged for 30 to 40 years to engines with power adders such as turbochargers and superchargers and even fuel injection. “That’s all stuff that’s evolving daily because they’re on modern production vehicles,” explained Massel. “There hasn’t been a real production car with a carburetor for a long time now, so that avenue is tapped out. Honestly, there are some guys who have their heels dug in and don’t want to run anything besides the carbureted V-8, but there are combinations beyond that that can do very well. Can a dragster win the title? Door cars have won six of the last eight championships — most recently, Al Ackerman in 2009 — and there are pluses and minuses when it comes to choosing a car style. 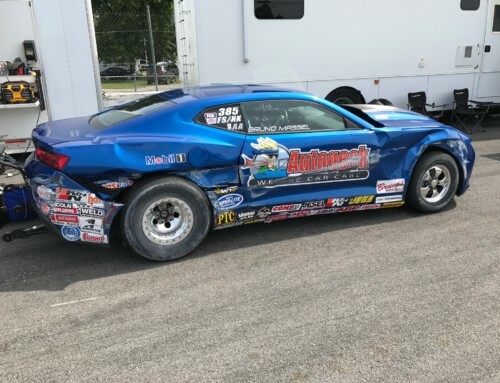 By their very nature, door cars — especially those with Pro Stock-style chassis — have almost infinitely adjustable suspensions to help get them down any kind of track in any kind of conditions. The lighter, more powerful dragsters have limited settings to adjust their suspensions. The other side of the coin is the visibility factor, which Massel says is “night and day” between the two. Good visibility is especially important in Comp as drivers try to gauge the finish-line margin of victory to prevent possible Competition Index Control violations that penalize their race (and, perhaps, permanent) index. Although Massel has won his championships with a six- second-capable car, the majority of previous champs in the last decade have had considerably slower cars that won’t overpower the tracks on the divisional schedule that make up a good portion of any racer’s score tally, begging the question of which is the better choice. 4 events this year, we have taken four Winner’s circle pictures! 3 races in the books, 3 victories in 2017!